Kenneth Volandes is of Greek descent and states that he got into real estate law because Greeks get involved in one of two things: “diners and real estate”. He suggests that the best way to get into real estate is to buy a multi-family that you can live in and produce income through. He also suggests getting into real estate early in life. He likes spending time in Sunset Park and Redhook and sees Redhook as potentially the “next” neighborhood, especially with the introduction of city bike and if the 1 train extends there one day. He sees Sunset Park as a good area for investment, especially around 36th street, as well as around the Midwood/Flatbush area off the Q stop, where it’s 30 minutes to Union Square. He also sees the Bensonhurst area off the D train as a good investment because it’s also about 30 minutes to Union Square. Mr. Volandes sees good times ahead for New York real estate. Most of the brokers he works with also feel confident about the New York market for the coming years. He states that as long as you don’t over-leverage you can still buy at a peak and sell at the next peak and make a strong return. He says Greeks don’t see selling property as a crime, but rather as a sin. He thinks it’s best to buy and hold as opposed to looking for a quick turn around. He says in the Brooklyn market today the real estate agent is making his or her commission because pricing the property right is essential. Mr. Volandes recommends checking out Rich Dad Poor Dad to help change the way you think about earning income. He also recommends Confessions of a Commercial Real Estate Entrepreneur, as well as going online to get familiar with New York City landlord-tenant laws. [1:31-1:54] Intro: Kenneth Volandes of The Law Offices of Kenneth Volandes. He was born, raised, and schooled in Brooklyn. He’s closed quite a number of commercial and residential deal in all the 5 boroughs. [1:55-2:23] How did you get into law? Coming from a Greek descent, it’s obvious how I got into real estate. I started specializing in real estate and that was my introduction to law. [2:24-3:26] What advice would you give to someone starting out in the field? In real estate, start early. Buy a multifamily estate and live in it to know your personal taste and priorities. [3:27-6:23] What’s your favorite area in Brooklyn? I have a bias for Bay Ridge and Green Point because I grew up and lived in these two areas. But the best areas for investment right now are Sunset Park, Flatbush Midwood, and of the D Train north of Brighton Beach. [6:23-7:16] Do you have a favorite restaurant in Brooklyn? I have two small daughters so I don't do restaurants anymore. But I would advise parents to go to Fort Greene Park and Bush Terminal Park with their children. 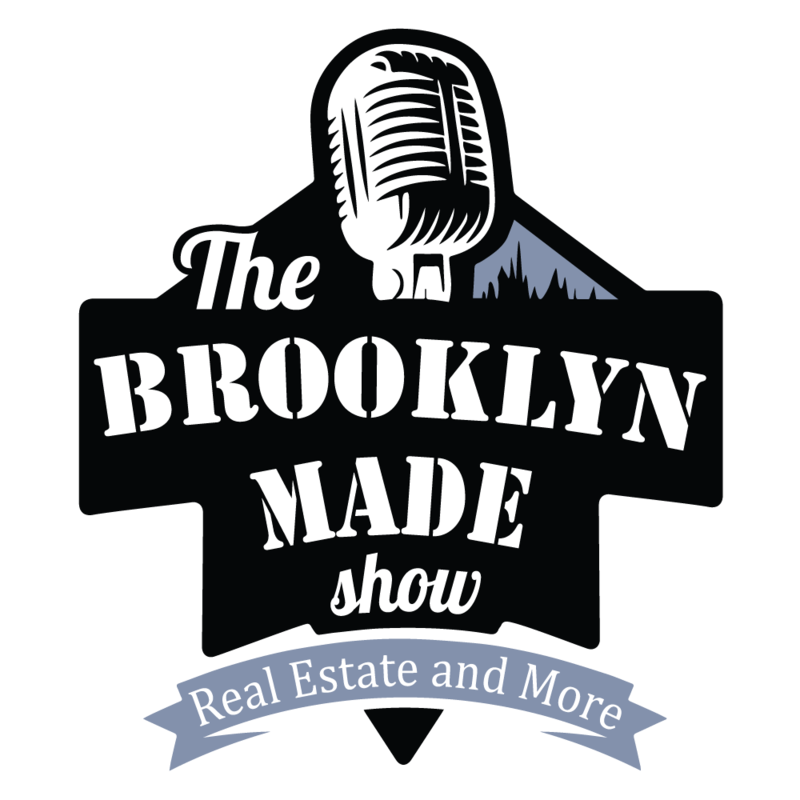 [7:17:10:20] Coming out of the recession, Brooklyn experienced a real estate boom. What is your experience with how long booms last and where is the market heading in 2-3 years? If you want to know what’s going to happen in the future, take a look at the past. New York has had an up and down real estate market. I think it's going to change now but there are good times ahead. [10:21-11:09] Stay in touch with the podcast by subscribing to the mailing list. Text Brooklyn to 66866. [11:10-14:30] How concerned are you and your clients of the L Train shut down in Williamsburg, Greenpoint and how will that affect business? With technologies like Uber and also transport options like bikes, it might be easy on New Yorkers but the rent might need to go down a little. If not, people will go to downtown Brooklyn or other areas that are serviced by the 2,3,4,5 trains. [14:31-16:39] What advice would you give to someone looking to buy or sell a property in Brooklyn right now? Brokers are earning their commissions now more than ever. If you’re selling your property, price it well or even a little bit low on the market value. If you're buying, make an effort to see a lot of product, know the price per sq2, and be mindful of the taxes and how much the renovation cost will be. [16:40:17:27] If you could go back to the beginning of your career and change something what would it be? Buy real estate and buy sooner rather than later, don't overleverage, and buy things where you're focusing on cash flow and not necessarily appreciation. Jennifer Levy got into interior design through renovating her own home in Brooklyn and loving the process. She made the transition from professional photography to interior design after realizing her talents could best be utilized through a career in interior design. It’s her job to oversee renovations and decorating, track all of the parts that go into both the decorating and renovating, and also interface and be the buffer between the tradespeople and the client so the client doesn’t have to deal with every detail of the project. She says many of her clients feel that hiring an interior designer actually saved them money in the end because it removed the inefficiencies and challenges that they would have dealt with on their own. She sees fearlessness and creativity as the most important qualities of a successful interior designer, as well as strong communication skills and a good, developed eye for design. She has her clients fill out a questionnaire to get a sense of their expectations and pain-points, their aesthetic and functional needs for their space. She loves the process of outlining her vision for space and turning it into a reality. Jennifer lives in Carroll Gardens and it remains her favorite area of Brooklyn. Frankies Spuntino on Court Street is one of her favorite restaurants, as well as Buttermilk Channel, for their great atmosphere and fried chicken, which is “transformative”. She’s getting a lot of business in Windsor Terrace and Midwood and is also seeing a lot of activity in Downtown Brooklyn and the Navy Yard. She sees the Midwood area as a good place to invest because there are really nice apartments there and it’s an undervalued area of Brooklyn. Jennifer says that your relationship with your interior designer is pretty intense and you need to feel very comfortable with them, have good communication and trust their taste and intentions. Her website, cavdesign.com, allows you to book a free phone call with Jennifer to discuss your project and see if she might be a good fit. She highly recommends The Four Hour Work Week by Tim Ferriss and The Go-Giver by Bob Burg and John David Mann. [1:32-2:01] Intro: Jennifer Levy is the founder and lead designer of Curved Design, a residential interior design firm. Born and raised in New York City and currently lives in Carroll Gardens, Brooklyn. She successfully transitioned from being a full-time professional photographer to starting an interior design firm. [2:01-2:31] Tell us a little about yourself and what you specialize in. I am an interior designer specializing in residential interior design. I live and work in Brooklyn with some work projects going as far as Spain. [2:32-2:53] How did you first get into interior design? I purchased an apartment and did some renovations on it and after a little while realized I was in love with interior designing and wanted to pursue it full time. [2:54-4:39] Can you break down what interior designers do and also explain how you can help people through renovating and saving them time? I deal with decorating and overseeing renovations which means my clients don't have to deal with every single detail and interactions. [4:40-5:45] What do you think are the 2 most important qualities of a successful interior designer? One, fearlessness. There are a lot of logistics involved and you can lose track of your vision. Because of this, it's important to keep in touch with your vision and creativity. Two, have really good communications skills both with your clients and the trade’s people and contractors to avoid minor conflicts. [5:45-7:02] How do you know where to start implementing your vision when you first walk into space? First, before I meet with clients, I have them fill out a questionnaire. This helps me have a sense of what their pinpoint is. Secondly, I try to listen to what the client is really bothered by in their homes, or what they really want to change. How they want to feel, what aesthetic they're driving toward, and what functionality they need for space helps me come to a definite conclusion to what can work for them. [7:03-9:05] Can you elaborate more on why fearlessness is an important quality for a successful interior designer? In order to be really successful as a designer, you have to show that you're going to add something that they haven’t seen before in their project. I try to do one new thing with every project which helps me be satisfied both personally and professionally. [9:05-11:14] How did you effectively make a career change from a professional photographer to an interior designer? I started out as an architectural interior photographer. This allowed me to work with wonderful interior stylists and architects and I got to see a lot of great places which helped define and develop my opinion. Photography required me to travel a lot which was becoming hectic because of my baby. I badly needed a career change and I started taking classes at FIT. I tackled a large renovation at my home which was like my first project. [11:15-12:15] Did you enjoy renovating your home? Because that can be painful for most people. I bit off a lot more than I could chew at the time. I realized I loved the feeling of putting or drawing something down on paper and eventually seeing it come to life. The renovation was a big learning experience. [12:15-12:45] What’s your favorite area of Brooklyn and why? I'm personally to my neighborhood, Carroll Gardens. I like that it still has the Old Italian shops for food, great restaurants and bars, and transportation. Although there's new architecture coming up. [12:45-13:21] Do you have a favorite restaurant in Carroll Gardens? For food, I love Frankies Spuntino. They have a lovely garden outside. Also, Buttermilk Channel which has totally amazing fried chicken. For wonderful tequila cocktails, I love Bar San Miguel. [13:21-14:04] Where is the hottest place in Brooklyn right now in terms of where you're getting most of your business? It used to be Park Slope but now I'm getting more calls from Windsor Terrace and Midwood. I think there are great undervalued apartments in Midwood. Navy Yard and downtown Brooklyn are also coming up. [14:51-16:41] What have you learned about financial cycles in your business? I came to this business with no preconceived notions about how I wanted to be a designer. Having a scalable business where I was growing and being able to take on smaller projects has really helped. Secondly, I have been a freelancer my whole life so I do understand the cyclical nature of the business. You have to put aside some money for such times but I think a lot of it is psychological. Separate your self-worth and feelings about things from the business. [16:41-17:51] What are some of the biggest ways your city has changed over the past decade? I grew up in New York and in the last decade, the biggest change is the level of construction which is happening in a volume I've never seen before. This raises the property values, and safety, and pleasantness of some neighborhood. As a consequence, finding parking is harder and the streets are more crowded. [17:51-18:42] Where did you grow up? I grew up on the Upper West side, moved to Brooklyn and then moved back to Manhattan and lived in Chelsea. I then purchased an apartment in Brooklyn which was a very wise investment decision at the time. [19:01-19:53] Where would you focus your search in Brooklyn if you were to buy a property right now? The Midwood area. There are really great apartments there which are well-valued. With the L Train, I think the Williamsburg, Greenpoint area will have good value. There's definitely a lot of opportunities if you're willing to hunt. [19:54-20:43] What advice would you give to someone looking for an interior designer? Alongside the fact that you have to really love their design aesthetic, it’s an intense relationship. Make sure you're comfortable with and have a mutual respect for that person. Challenging issue might come up during the process, so make sure you can communicate well. Daniel Gershburg started his own law firm right out of New York Law. After growing up in south Brooklyn, Daniel started his company in Sheepshead Bay and later moved his office to Downtown Manhattan. He’s covered every angle of real estate transactions, which account for 95% of his business. He came to focus primarily on real estate because he saw an opportunity to represent people that are really excited to buy or sell their home and build strong relationships with clients. He observed an opening in the real estate attorney field because he saw most attorneys looking for volume and speed as opposed to fully committing to their clients and taking them through each step of the buying or selling process. He says that many clients don’t look past the price, but there are major differences between different attorneys and it’s important for a client to inquire about availability and be clear about whether or not the attorney will be fully accessible. In terms of investing in New York real estate, he sees anywhere in Brooklyn as a smart location to park your money. He knows developers who are pushing into south Brooklyn and he still sees the established areas like Brooklyn Heights and Williamsburg as good options. He thinks the best investment is one where you buy and intend on living there for a long time. He doesn’t see buying on an interest only mortgage as wise option. If he could go back to the beginning of his career, he would love to be a real estate broker because he sees the entrepreneurial, service industry as doing really well over the coming decades. He’s noticed that successful agents have no ego and are quite humble. The really good agents are completely honest with their clients and tell them why a deal may or may not be good for them. Regardless of what field you get into, Daniel sees hustling as essential for success. He also sees real world reviews as much more valuable than online reviews. Building honest, meaningful relationships are at the heart of his business model. Some of his favorite restaurants in Brooklyn are Randazzo's for seafood, Roll-n-Roasters for sandwiches, and L & B Spumoni Gardens pizza, which he says is “the best pizza in the world”. He highly recommends the books of Nassim Taleb, as well as Letters From a Merchant To His Son, published originally in 1901. He also recommends reading the annual letters of Warren Buffett. [1:32-1:53] Intro: Local expert, Daniel Gershburg, is the owner and president of Gershburg Law. He was born and raised in New York and started his law firm right off New York law. He has covered every angle of a real estate deal from the 100s of transactions he’s done. [1:54-2:52] Can you tell us a little bit about yourself and what you specialize in? I'm a native New Yorker. Went to New Jersey for college and returned back home after that. I went to law school in New York Law and right after, opened a practice in Sheepshead Bay, Brooklyn. 5 years ago, I moved my practice to Manhattan. 95% of what we do are real estate transactions. [2:52-3:54] Any favorite restaurants or night spots in South Brooklyn? Randazzo’s is an awesome seafood restaurant that’s been around forever. Roll N Roaster on Emmons is great for roast beef sandwiches, and L & B Spumoni Gardens restaurant serves the best pizza. I got to these places all the time. [3:54-4:48] How did you get into law? In college, I had to choose between working at Blinds To Go and going to law school. I chose law school. I enjoyed law school and had an entrepreneurial spirit and right after law school I combined those two. I started the law firm because I wanted to work for myself. [4:48-5:56] How did you come to focus primarily on real estate? I always had a desire to get into real estate. When you were a one-man show, at the time, real estate had very little red. You were able to take care of clients and do closings. I started off with nothing but will and no money. In law, a lot of it is contentious unlike real estate where you're representing sellers and buyers who are always excited to make the deal. This is the reason I got excited to try it out. [5:56-7:39] How have you done things differently from the rest of the field? I never wanted to do volume. I saw that clients, when buying, really needed a trusted resource to give them honest details on a practical level. For us, we handle the experience. Everything from making sure the building is okay to when they should apply for a loan, to whether the mortgage commitment is okay, what fees they're going to pay, or what they should look for in a walk through. All these weren’t being addressed when I began. I wanted clients to find value in what I did. [7:39-9:34] Where are the hottest places right now in terms of overall activity and growth for real estate? Anything Brooklyn and Bronx is realistically a great area. There might be some sort of a slow down with the high number of units in the market, but there are a lot of people coming to Brooklyn and loving it. Brooklyn Heights or Williamsburg and Greenpoint are great options but you have to be going South Brooklyn. [9:35-12:09] What have you learned about cycles in real estate business? I've practiced consumer bankruptcy so I've seen things from both sides. I have no idea when the next burst or boom will be. I've learned that the people that have done the best are the ones that buy a place and buy to live there for a long time. Chances that you're going to do just fine despite the cycle are quite high. [12:09-13:01] What would you do differently if you went back to the beginning of your career? I’d become a real estate broker. I love the idea of finding and servicing people’s needs. In future, the economy will be sales and value-driven versus the industrial jobs. I’d either work in technology or in a sales area. [13:01-14:33] What should someone look for in a real estate agent? The real estate agents I work with are really humble and lack ego. They know an area really well and you can tell that. Really good agents are ones who will tell you if a property is not right for you. They should give you candid opinion as to whether or why a particular place works for you. Interview various brokers based on referrals, reviews, or online search and have a face to face meeting with focus unto why you think you’ll be right for each other. [14:33-16:24] What advice would you give someone looking for an attorney to represent them in a real estate transaction? I would have a conversation about availability and who will be handling the file. Clients don’t work past the price sometimes and they anchor their decisions based on how much they pay. I would talk to the real estate attorney not just about how many files they’ve done but who’s going to handle the entire transaction from beginning to end and make sure I'm comfortable with that. Also, I think personal references should come way before online reviews while looking for an attorney. [16:24-17:17] Stay in touch with the podcast by subscribing to the mailing list. Text Brooklyn to 66866. [17:17-19:48] What advice would you give to somebody starting out as a real estate attorney? I would say if you're at your desk most of the day when you're just starting out, you're doing something wrong. If you're coming home before 5 PM, you're doing something wrong. I would go out to meet brokers and introduce myself pointing out what I can bring to the table. I would try and understand a particular neighborhood and what their needs are. Basically, try and educate yourself in the best way that you possibly can to know your product, client, and service. [19:48-21:27] What is the biggest difference between doing a condo and a co-op deal? You're doing due diligence on both of them but you're dealing with a board when dealing with a co-op. The biggest difference is timing but attorneys in both really look and do due diligence with you on what’s going on with that building. Recently, some condos have become significantly strict in terms of who they allow in while co-ops are being less restrictive because they're being replaced by condos. However, on the purchase side, there's a lot of differences. Charles Diehl got into architecture by way of physics and his interest in space exploration. He realized through that process that he was interested mostly in design and made the transition to architecture. He’s lived in Brooklyn for almost 20 years and recently bought a house in Bed Sty, which is where he currently lives with his family. His firm, Charles Diehl Architect, was established in 1999. Over the last few years, about 90% of his work is focused on renovation as opposed to new construction. The Brooklyn market has been primarily consumed by buying houses and renovating them, and that is where Charles’ expertise come in. He loves the Fort Greene/Clinton Hill area, which is where his office is located. Brooklyn Roast on Flushing Avenue is his favorite coffee spot and Chez Oskar on Malcolm X Boulevard is one of his favorite restaurants in all of New York City. He’s been getting the most calls from the Bed Stuy/Bushwick area over the past few years, which have seen incredible change. He describes East New York as heating up and ripe for development because of the up zoning that could reshape its infrastructure. Jeff Streich has owned Prime Renovations for 15 years and he specializes in high end renovations across the city. His father was an engineer and they would build their own decks with no power tools. When he first got into the business, he learned the value of setting clear expectations and communicating clearly with clients about exactly what they want. Construction is a challenging and often messy job, so Jeff sees one of his most important responsibilities to be very detail oriented and make sure everything is approved with his clients. Larry identifies as a born yet recovered real estate developer. He used to manage more than 4 million square feet of real estate. He got into law because he likes negotiating and saw a venue that would fully allow him to channel his skill set. To do well in real estate, he says you have to start from the bottom and have a thirst to learn and succeed. He loves North Brooklyn - Williamsburg, Bushwick, Greenpoint. They still have an edge, they’re up and coming and you can feel the energy. He still sees “chicken on the bone” there, if you buy right, which he says is a big if. He recommends checking out Lilia’s restaurant and cafe on Union Ave and North 10th. He’s amazed at how areas like Williamsburg and Dumbo and even Soho have changed so dramatically over the past few decades. People usually wouldn’t even want to touch those neighbors back in the 80s and even into the 90s. He sees a lot of change and development in these kinds of neighborhoods as starting with developers who see potential and are willing to invest, combined with various market conditions. Larry sees Bay Ridge as having big potential, being by the water and its proximity to nice areas of the city. He also sees Sunset Park as having an opportunity, but it depends on where you want to take a chance. He encourages investors to avoid always trying to hit a home-run and focus on singles and doubles. You can build a hall of fame career on singles and doubles. Larry offers free consultations and has created the website www.LeasingReality.com as a means to fully educated one’s self on the real estate business. 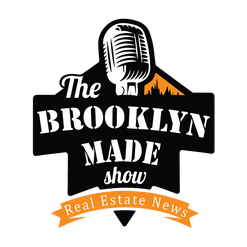 [1:32-2:00] Intro: Brooklyn born Larry Haber is the managing partner of the commercial real estate department at Abrams Garfinkel Margolis Bergson simply known as AGMB. He’s worked every angle of a commercial real estate deal given his business experience of over 30 years. [2:00-2:50] Can you introduce yourself and tell us a bit about what you specialize in? For starters, I have a varied background. I am a reformed yet recovered developer in my prior real estate life with a number of strengths, some of them from childhood. We used to own and manage 4 million square feet of real estate in SoHo, Downtown New York, Harlem, and a little town in Jersey. I was also general counsel, attorney, and CPA for our company. [2:50-3:30] How did you get into law? I like to negotiate, to verbal, and to mentor. I saw this as a way of being able to make a difference with my skillset. When I initially got into law, I did accounting and law simultaneously and with my personality, I wanted to be on the business side of things. My goal was to use my analytical skillset of legal and accounting and apply it in the real world. [4:26-5:52] What’s your favorite rapper of all time? I like an album by The Clash which had a song called Magnificent 7. This was one of the first rap songs in the late 70s. I also happen to like Drake. I think he’s a real estate coach with his songs. [5:52-6:56] What’s your favorite area of Brooklyn? Williamsburg because it's such a fun place to be. But if I was buying right now in my old age, I would be looking at Bushwick and Greenpoint. Greenpoint isn’t easy to get to from certain parts of the city but it's a great place. [6:56-7:27] Do you have a favorite restaurant, café, or bar in Brooklyn? I went to Lilia’s restaurant on Union Avenue and North 10 two weeks ago. It has a nice vibe and really great food. [7:27-10:35] What are some of the biggest ways New York has changed over the past few decades? When I was growing up, most of the places we’d go to, like SoHo and Williamsburg, you were always looking over your shoulder. But right now they’re safe. Investors were looking at us crazy in the early 2000s when we’d ask them to invest in such areas. But over the years, that has changed particularly because some big names were willing to bet on such cities and definitely people followed suit. Nobody wants to be the first, but the ones who are willing to take the risk are the ones who succeed. [10:35-12:22] Does a neighborhood transformation start with the developer? It does. For example, I went to New York, New Jersey in ’97 and there were nice people, there was infrastructure, but not enough people were going there and spending money. Developers couldn’t overcome the perception of what New York was back from the ‘60s. What’s needed is someone to strongly believe in the neighborhood and improve its market condition by investing in it. [12:22-13:10] Stay in touch with the podcast by subscribing to the mailing list. Text Brooklyn to 66866. [13:10-14:32] What advice would you give someone looking to buy or sell property in Brooklyn right now? This is an obvious advice, but don't buy at the top of the market. An important question to ask yourself is what are you looking for? Do you have a long-term vision or are you a flipper? If you're a flipper, going into an area that is saturated is never a good idea. If you have a long-term vision and you go to a ‘virgin’ market and have patient money, you’ll rake in some good money in some years to come. [14:32-15:22] what neighborhoods in Brooklyn would you look to flip right now? Bay Ridge. I don't know the area so well as to give an educated opinion but I love the proximity it has to the water. Sunset Park is also a nice place. However, it's a matter of where you’d want to take a chance. [15:22-17:00] What advice would you give to someone looking for an attorney to represent them? Find an attorney who is passionate, wants to make a difference, one who is reasonably priced, and one who is willing to give important knowledge. It all comes down to a person who has a long-term vision and is going to work with you. You can find this by going online and searching an attorney and seeing what they do and how they try to make a difference to the client they represent. [17:00-19:25] If you could go back to the beginning of your career and do something different, what would it be? If it's something different than real estate, I would be GM of the MEST. I tried to be an agent earlier on in my career but life got in the way. From an investment side, I wouldn’t be looking to hit run home runs all the time. You can hit it bigtime with singles and doubles. [19:25-21:38] Based on your experience on market cycles, where do you see the market over the next 5 years? Put on your seatbelt and enjoy the ride. Life in real estate is like a rollercoaster. I see it going up and down. More and more people are coming to New York and as a consequence, residential will be okay. But the bottom line is, who are you catering to? Rolan Shnayder is a mortgage banker with CItizen’s Bank and has been in the business for over 15 years. He specializes in new development and is the prefered lender that developers choose to represent them in the sale of their units. Since 2008 he’s been the prefered lender on over 200 projects. He is currently the prefered lender on over 72 projects. Rolan has seen a lot of people saying they want to buy real estate now before interest rates go up. This past January, which is usually a slow month in real estate, was Rolan’s best month. His business is split evenly between Brooklyn and Manhattan. He gets a ton of calls from Downtown Brooklyn, Park Slope, Fort Greene, Williamsburg, and he attributes much of the changes in some of these neighborhoods to some of rezoning laws, which has allowed for bigger and taller buildings. The recession of 2008-09 brought about some of Rolan’s best years in the business because he managed to secure a lender that would do business with developers when the other big banks wouldn’t touch new developments that were under 50% occupied. This showed him the importance of finding a niche and a clear competitive edge. He’s bullish on real estate and the economy for the next 3-5 years and sees new policies that should be enacted over the coming years as giving new life to the economy. He highly recommends E Myth by Michael Gerber. ​[1:32-1:53] Intro: Mortgage banker of Citizen’s Bank, Rolan Shnayder, was the number one loan officer in 2016, and is one of the leading experts on the mortgage financing business. He’s based in Manhattan with his family and does most of his businesses in Brooklyn. [1:53-2:45] Can you tell us a little bit about yourself and what you specialize in? I'm a mortgage banker at Citizen’s Bank. I live in Chelsea in New York with my wife and 2 kids. My specialty is in residential mortgage banking with over 15 years’ experience in the business. I focus on new development where I'm the preferred lender that developers choose to represent them for the loan buyers. [2:45-4:12] How did you get into banking? I was a stockbroker at a college for about 6 years and I left after the technology burst in 2001. I became a day trader for myself but quickly realized that it was a very lonely business because I enjoyed sales and being around people. Later, a neighbor who was in mortgages taught me about mortgages. It was very fulfilling to me and that’s how I started banking. [4:12-4:38] What kind of advice would you give to someone starting out in the mortgage business? This is a universal advice but if you want to be successful at what you do, you’ve got to love it and you’ve got to put a lot of time into it. [4:38-5:46] How many projects have you been on since you started your career as a preferred lender? The first project I got on was right when the market collapsed in 2008. Since then, I've been on more than 200 projects as a preferred lender. [5:46-6:37] When you say less than 50% sold, what exactly do you mean? When you build a building and you start selling out units in it, banks at the time wouldn’t lend to a building that was under 50% in contract. The developers had a very tough time because there weren’t many buyers at the time and those that were willing to buy had a difficulty finding a mortgage. This meant they could only sell to all-cash buyers. I was able to find a lender that would lend to buildings that were under 50% in contract, and this is how I got my start in the new development space. [6:37-7:06] How many new development projects are you currently a preferred lender on? They range in size. I'm currently on 72 buildings as a preferred lender. [7:06-8:48] How do you see interest rate changes affecting the market in 2017? I don't know if you’ve noticed but since the elections, everything that was said about the economics has been wrong so far. Interest rates went up a little after the elections but they're coming back down now. This hasn’t affected the mortgage rate as much as it had been predicted. If everything continues like this, it's going to be tremendous for the marketplace. We’ve seen a huge uptake of mortgages since December because people are predicting the rates will go up. [8:48-10:13] What advice would you give to someone looking for a mortgage broker? People are always asking what the rates are but they don't realize the difference between a 1/8th of a point, up or down, is actual dollars. People don't pay interest rates, people pay dollars. Some of these percentage differences will hardly affect the way you live through life but what it will affect is if you go to an unsophisticated loan officer who agrees with you on everything and then 2 weeks before closing they come back saying they couldn’t close the mortgage for you. I recommend you go to a professional and go with a recommendation. You don't have to go with the best rate but with the most qualified person that can get you to the closing table. [10:13-10:41] What percentage of your business is in Brooklyn? My business is evenly between Brooklyn and Manhattan though I still do a few things outside of these two cities. I have customers buying homes in other states. But I’d say it's 50/50 between Manhattan and Brooklyn. [10:41-12:03] Where in Brooklyn do you see the most activity? Downtown, Park Slope, Fort Greene, and Williamsburg are the usual suspects because of the rezoning that went on along the waterways. [12:03-13:24] If you were to buy anywhere in Brooklyn where would you focus your search? To me the most beautiful neighborhood in Brooklyn is Brownstone. There are a few high rises that are getting converted now but it's still a gorgeous neighborhood. For investment, it depends on what you're looking for. Whether it's cash flow or appreciation. But right now the hottest neighborhoods I’ve been investing in have been along Brooklyn, Queens’s border. If you want to know the next hot area, get on a train when everyone goes home at night and see where everyone is getting off the train, then buy the next stop. [13:14-14:13] Stay in touch with the podcast by subscribing to the mailing list. Text Brooklyn to 66866. [14:13-15:08] What are some of the biggest ways New York City has changed over the past decade? I think there have been some great developments. Our waterfront has seen the biggest changes whether it's Brooklyn, Manhattan, the West Side etc. [15:08-15:42] Mortgage brokers were hit the hardest by the recession. How did you manage to weather that storm? I found something that no one else had and I was the only game in town. If you were trying to sell units and you were under 50% sold, I was the only savior for about 2 years straight. When you have a monopoly on something like that you tend to do well. [15:42-17:37] How do you see the market doing over the next 2 to 4 years? In a mortgage, if the purchase market takes a hit, it can spell trouble for mortgage banks and loan officers. In real estate market, refinancer is never part of a relators business. I think we’re strong because I tend to believe the economy is growing by the day. [17:37-18:28] What are the two most important qualities of successful real estate agents? Folks that I work with that are on top of their game are always working, treating people right, and they're always making smart decisions. In business, you can either be shady or straight, but the most successful people are straight. [18:28-19:11] if you could go to the beginning of your career and do something different, what would that be? I think a lot of life is the mentality. If you want something you will get it. So I would make my dreams bigger than they were because it would’ve been easily attainable to get to where I am much quicker if I’d set my sight that high. Adrienne D'agata an interior designer and native New Yorker. She attended the Fashion Institute of Technology and specialized in interior design. She opened up the design firm Dimension New York with several partners, which specializes in residential and hospitalilty design. Adrienne heads the residential department. She got into interior design through her innate creativity and how she found the design of a surrounding space could powerfully affect her mood. She wanted to create spaces for people where they really enjoy being and elevates their lifestyle. Her favorite area of Brooklyn is Williamsburg because it places a strong emphasis on creativity and individual expression. Her favorite restaurant is Maison Premiere on Bedford Avenue, for its great atmosphere and interior design and it has a wonderful cocktail bar and great oysters. ​The interior design in a restaurant is just as important to Adrienne as the food they serve. She also sees Sunset Park, Crown Heights and Bushwick as hot spots because they retain the old Brooklyn neighborhood vibe that’s attracting the younger crowd and artists. Adrienne recommends The Women I Wanted to Be by Diane von Furstenberg and Ladies Who Launch by Victoria Colligan and Beth Schoenfeldt as inspirational business books. Adrienne D'agata an interior designer and native New Yorker. She attended the Fashion Institute of Technology and opened up the design firm Dimension New York with several partners, which specializes in residential and hospitality design. Adrienne heads the residential department there. Her focus is to design spaces that are timeless and sohisticated as well as elegant and functional. Tony Castoro is the owner of Gotham CIty Home Inspection. He’s been in the business for over 8 years and is well known throughout Brooklyn for providing a highly competent and honest service. He’s a native New Yorker, growing up in Bensonhurst, and has seen the city undergo massive transformation. Andrew Ayers is an attorney who has offices in Brooklyn and Minnesota. His practice is focused on small businesses and helping them get up and running, as well as estate planning associated with real estate ownership. Estate planning involves planning for the unexpected with respect to the ownership of real estate and who will own what in case there is a death in the family. Through his experience, Andrew sees adaptability and understanding your clients as the most important qualities of a successful attorney. He loves the Carroll Gardens/Cobble Hill area. He loves Baba’s Pierogies on 3rd avenue for lunch, and often takes his wife out to La Avara on Clinton street and highly recommends the fried artichokes. He’s getting a lot of calls from the Gowanus and Red Hook area and sees those two neighborhoods as having huge upside moving forward. Andrew is big on technology as a means to streamline his work and he thinks one’s position on technology is an important consideration when finding a good match for an attorney. It’s essential that you feel comfortable with your attorney and trust that they have your best interest in mind. Andrew is a huge reader. A judge told him that the most important thing you can do is read everyday. His current goal is the read a book every week. He recommends Alex Ferguson’s Leading on leading in a business environment. For history, he recommends the Teddy Roosevelt trilogy by Edmund Morris and for fiction, he recommends A Gentleman in Moscow by Amor Towles. [1:32-1:57] Intro: Andrew Ayers is an attorney in Brooklyn with offices in Brooklyn and Minnesota. His specialty is in estate planning and helping small businesses get up and running. He has a degree in political science a law degree from New York Law. Andrew is an avid reader and will share with us numerous book recommendations. [1:57-3:14] Can you tell us a little about yourself and what you specialize in? I'm a lawyer with 3 small children. I grew up in the East Coast and moved to Minnesota when I was in high school, then moved back to the East Coast for law school, and now I've got offices in both Brooklyn and Minnesota because I'm always bouncing back and forth between the two places. My practice is located around small businesses. Helping set them up and getting them up and running with negotiations of commercial leases and doing collection work for lenders in the customers they work with. I also do estate planning for younger couples when they come to me to buy a house and we realize it’s part of a real estate purchase. Sometimes there may be a divorce or child custody issues so I also do family law as well. [3:14-3:43] What made you want to practice law? I really longed to be in the entertainment industry. In college, I worked at a radio station where I was a manager and music director. I then went to law school and realized entertainment wasn't really my thing and I concentrated on consumer focusing area of law with the stuff I'm doing these days. [3:43-4:35] What specifically is involved in estate planning? Estate planning is conceptualizing what’s going to happen in the unfortunate event where a client is no longer with us. Estate planning puts together, especially with young couples with children, a definitive plan to protect the children and their assets. And as the children get older and they come back, we may set up a trust. We do tax planning and more advanced things. [4:35-5:21] When would you recommend someone who owns a property to reach out to an Estate Planning Attorney? I recommend that everybody should have an estate plan. Strive to reach out to a lawyer if you’ve bought a property and make sure an estate plan is in place especially if you're married or have children. It takes away the uncertainty of what would happen when you’re gone. I don't recommend for anyone to do it themselves online, though. Find someone to help you with a basic estate plan to get going. [5:21-5:59] How long does the process take and what are the costs? The process doesn't take long. Depending on your plans complexity, it can be turned around in a couple of weeks. The online forms are $99 or thereabouts but if you go with a lawyer, it ranges between $500 to $1500 on the low end, and $5000 - $10,000 when it gets complex. [5:59-7:25] What are the two most important qualities of a successful attorney? The most important quality is to be able to understand your client and what their needs and motivations are. Another quality is adaptability. Situations, cases, and deals vary greatly and it's important to be able to change the situation. [7:25-9:29] Whats the most unique or challenging deal you’ve done in the past few years? First, that came to mind has to deal with a litigation that I was in. it rose from a divorce action where the parties owned a brownstone in Brooklyn Heights and the wife wanted to sell the building, take the money, and go somewhere else. However, the building was set up as a 1031 exchange. We brought in professionals trying to explain why selling the building would lead to losing all the tax advantage of the 1031 exchange but the woman and her divorce attorney would not listen and it took forever for them to understand the tax basics. [9:29-10:32] For the 1031 story, how much specifically is the tax difference for a 1031 exchange for something like a townhouse in Brooklyn Heights? I don't remember what the underlying cash basis was going to be and what they’d purchased it for but they’d purchased it years ago in the early 80s. It was a significant difference. I would say it would come up to at least $1million difference. [10:32-10:45] What’s your favorite area of Brooklyn? I'm partial to Cobble Hill and Carroll Garden because I lived there for about 15 years. [10:45-11:15] Do you have a favorite restaurant in that area? I do. If I'm going to lunch I always go to Baba’s Pierogies in Park Slope. If I'm doing happy hour I love Bar Bruno on Henry Street and my wife and I love to go to La Avara for dinner. La Avara has amazing fried artichokes. [11:15-13:22] What are some of the biggest ways New York city has changed over the past 2 decades? The ride services like Uber. Years ago trying to get home from a night out would always be hectic with taxis refusing to go out to Brooklyn. This has changed the way we get around the city. Also, all the apps that can deliver anything to your door. Back in the day, we never had those options. But as a result of this, many retail stores are really struggling. [13:22-14:11] Where’s the hottest place in Brooklyn right now in terms of activity and growth? For me, I’d still stay local and look at Gowanus and Red Hook. These are building out and they’ll be the next area to fully turn over. I heard Antonio Bolzano died and now it's only a matter of time before all old places are taken over and turned into developments. [14:11-14:44] Does the lack of public transportation in Red Hook concern you at all? It doesn’t simply because it's actually a nice walk. I'm sure there will be more infrastructure put in future to help people get down there. [14:44-15:15] If you were to buy in Brooklyn, where would you focus your search? It depends. Right now, I would stay in the family neighborhoods like Park Slope and Brooklyn Heights. If I was single, I’d branch out a bit and find an older building in Dumbo or Bed Stuy and renovate it to make it my family home for the next few decades. [15:15-16:04] Stay in touch with the podcast by subscribing to the mailing list. Text Brooklyn to 66866. [16:04-17:40] If you could speak to the you of 10 years ago, what professional advice would you give? I would say leave and never look back. I was working for somebody and after I went out on my own, I had more freedom. The transition was scary because I wasn't certain when the next paycheck was going to come. Gladly, former clients started contacting me asking to work with me. It was a swift ride from there. [17:40-19:08] What have you learned about cycles in your business and how do you weather the storm of recession? You have to take a long-term view. I have my goals for 1 year, 5 years, 10 years, and 20 years out but you need to realize there are going to be bad years among this. I've learned that cycles are never what you expect them to be especially in New York. A new infrastructure can completely change the market, so it's always advised to be on the lookout. [19:08-20:47] What advice would you give to someone looking for an attorney? I have a passion for technology and I use it on my clients. One thing that’s important for me and my clients is that our technology matches us. It's important that a client and an attorney can work together because there are so many collaboration tools to use these days. Another advice is to ask friends if they have a recommendation of an attorney. I'm often referred by people so it's essential for me to have a good rapport. Claire Brown was born and raised in Minneapolis, went to Northwestern for college but always saw herself eventually coming to NYC. She lives in Williamsburg and works for Sugarlift, an online gallery and art consulting company. They connect young, talented artists with art buyers. She’s observed that abstract, colorful, impressionistic, big statement pieces as most in demand right now. Artists have to have an original vision combined with technical skill in order to succeed in the art world. Her job is to match skilled artists with people who are looking to fill their homes with art in line with their own taste and vision. One her company’s goals is to help sustain the artist community and allow them to work full-time as artists. Greenpoint and Williamsburg are Claire’s favorite parts of Brooklyn. She’s sees Greenpoint as having a similar character to Williamsburg but has less of the crowds and chaos. She recommends The Founder’s Dilemma by Noam Wasserman and The Art in Painting by Alfred Barnes. Claire Brown was born and raised in Minneapolis and moved to NYC right after college. She works for Sugarlift, an online gallery and art consulting company. Her job is to connect connect young, talented artists with art buyers. One her company’s goals is to help sustain the artist community and allow them to work full-time as artists. She lives in Williamsburg and we’re very pleased to have Claire Brown on the show. Anthony Grevtsov was raised in Brooklyn and co founded European Kitchen Center in Greenpoint, Brooklyn. His company handles all aspects of kitchen renovation, from design to installation. They help clients through the decision making process when buying a new kitchen or renovating an old one. Unlike many renovation companies, European Kitchen values sticking to a schedule and honoring time commitments as a top priority. Anthony says that minimal and modern designs are most in demand right now, with black, white, and grey as the most popular colors currently used for kitchens. The kitchen is the center of the home and where the family often comes together to spend time, laugh and conversate, and eat food, so Anthony puts high value in the design and ambience of a kitchen. Maurice Frumkin owns NYC Admissions Solutions. He attended business school, was an independent school admissions officer for several schools, and was at the department of education for 5 years, where he was involved in all areas of running the admissions process. He started NYC Admissions Solutions to help individual families get into the schools of their choosing. In the interview, he outlines the admissions process that NYC schools go through in admitting students and how families can best position themselves to get into their desired school. He recommends reading Launching a Leadership Revolution by Chris Brady and Orrin Woodward. [1:32-2:04] Intro; We are joined by Maurice Frumkin. He is owner of New York City admissions solutions. He started his business in order to help families through the very complicated process of getting admissions into schools in New York. Maurice attended business school, and was an independent schools admission officer for several different schools. He was at the department of education for 5 years where he was involved in all areas of running the admissions process. [2:04-2:59] Tell us about yourself and what you specialize in? My Company focuses on helping families and schools across the city navigate the school admission process with a particular focus on middle and high school admissions. [2:59-3:32] Is your work primarily focused in Brooklyn or is it spread through the whole city? It is spread throughout the city. However, for a variety of reasons, majority of my businesses tend to come from families in Brooklyn and Manhattan. Recently I started working with families in Queens. [3:32-4:34] What are the most important qualities one must have in order to be successful in your profession? First is credibility and trustworthiness. The person needs to have experience and know what they are talking about and give the families accurate and trustworthy information. [4:34 -6:38] If a family lives somewhere that is zoned to go to a particular school, is it guaranteed a spot in the school? The city developed a choice process some years ago where families can choose from school throughout the city and decide which one best fits for them. This was after they didn’t want to force people into going into schools in their zones. However, you are guaranteed a spot if you choose it somewhere in your applications. [6:38-7:42] What kind of process does the school go through in order to select those who they are going to admit into their schools? It involves a variety of the schools admissions methods. That is, the way that you are evaluated. Depending on the school, they might be looking for an interview or a writing supple or showing up unknown at a house and in other cases just putting it on the application will do it. So depending on the admissions method program that’s going to determine what they are looking for and how selective the school might be. [7:42-8:51] What schools in Brooklyn have the longest waiting list and are the hardest to get into? Some of the more popular school are hard to get into especially because of demand and selectivity. This includes schools like the specialized high schools for example Brooklyn state, Brooklyn Latin, Leon Goldstein among others. [8:51- 10:35] What are the most important things that parents should know about getting their children into a public schools? In New York City, there are a lot of schools to select from so they have the opportunity to shop around and to decide what works for them and their child. Most importantly, have some type of plan. It’s unlikely that you will accomplish anything in a short amount of time so it is advisable to have a consistent approach over time. Start early, have a plan, understand what to do with the help of experts and counselors such as myself. [10:35-13:39] What is the best way to find out about a school tour in your district and what are the most important questions that you would recommend parents to ask the school while they are on the tour? Use the school website. Also check with the schools by calling, checking their websites, or book marking their websites. [13:39-14:28] Stay in touch with the podcast by subscribing to the mailing list. Text Brooklyn to 66866. [14:28-16:28] If schools improve in the neighborhood, does it lead to a spike in real estate values in that neighborhood and vice versa? It is tough to quantify since it can take a number of years for a school to evolve itself. So even if afterwards real estate prices in the neighborhood may increase, it will still be after a couple of years. Although it is true to say that improved schools can cause a spike in real estate values. [16:28- 17:53] How long have you lived in Brooklyn and what’s your favorite area there? I’ve lived in Brooklyn for about 10 years and my favorite area is Quantel, because it feels like a real neighborhood to me as compared to where I used to live in Manhattan. [17:53-18:39] Do you have any favorite cafes and restaurants in Brooklyn? I am a pizza lover so I go to a place called Emily’s. They serve the best pizzas. [18:39-19:46] From which areas of Brooklyn are you getting the most business? I get calls from all areas of Brooklyn but mostly Williamsburg. [19:46-20:55] What advice would you give to someone looking for a school consultant? Find someone with experience and one that is trustworthy. Someone who knows what they are talking about and has credibility. It is equally important to choose the right fit in terms of style and personality. Choose someone whom you and your children can get along with easily. That will lead to more effective results and better communication. Places collect energy – in the same way that your clothes and hair get dirty. Just as you need to do the laundry and shower daily, spaces also need to be cleansed. This is especially important when you want to transform your life in a BIG way. I believe that everything is alive, filled with spirit. Everything has an energetic field. It just so happens that quantum physics also agrees with me. There have been a multitude of research studies, which support that everything in our physical world is actually vibrating energy. Whenever I clear and bless a client’s space, I’m actually literally revitalizing and re-charging the energy in the atmosphere. I love to help harmonize my clients’ spaces, so that they can bring in more joy and prosperity. Space Clearings and Space Blessings are especially important to do after a breakup or divorce, so as to clear the space thereby allowing in new energy. Barbara is the author of the Joy of Ritual and The Joy of Family Rituals and she has been featured in The New York Times, Chicago Tribune and Oprah.com. She has also appeared on television shows on CBS, NBC, FX and the Hallmark Channel. Biziou’s weekly newsletter currently reaches thousands of people and she contributes to Huffington Post, Mind Body Green, Rewireme, and What Now, What Next. [12:09] Why are renovation loans not talked about more? [15:18] Can you choose the contractor? [16:39] Are these loans harder and more complicated to get? Geoffrey Cobb is the author of the book Rise and Fall of the Sugar King which shows what it really cost to create the sugar industry. He’s got touching stories of how Henry Havemeyer would stop at nothing just to see his company thrive. We discuss how this has personally affected him and we’re sure from this, you won't be able to view sugar the same way. [01:48-2:25] Intro: Today we are joined by Geoffrey Cobb who is the author of the book 'The rise and fall of the sugar king'. [2:25-3:05] Can you tell us more about Dominos sugar? It was started by two brothers, Henry who did the marketing and Theodore who handled the technical side. It was doing well, but then after the civil war ,more people discovered that they too could refine sugar which created a lot of competition and in turn forced them to cut down on their prices which put a strain in the business. [3:05-6:31] Could you please tell us more about the conditions of the refinery? They picked Polish-speaking immigrants that didn’t know English and this was because they knew that they were desperate and would do anything. They would work for 12 hours a day in temperatures that ranged from 110 to 130 degrees and at almost 100% humidity. Most workers would wear loin cloth because of the heat. There were a number of accidents in the refinery that left some workers sick and/or disable and without compensation. There were deaths, too, especially on hot summer days yet the refinery didn’t stop working even after the workers demanded for better working conditions. [6:31-8:29] Tell us more about the turmoil in the States and around the world because of this? In 1882, there was a fire that completely engulfed the refinery to the ground. It cost them 1.5 million, which in today’s economy is about 1.5 billion to reconstruct. The workers then protested about the poor working conditions which was resolved, but went onto becoming a recurring problem. [8:29-10:53] The sugar industry really shaped the economy and the skyline when it comes to the sugar industry. What would the city have been without it? In the 1830's there was a vision of Williamsburg being a posh residential area. It didn’t happen due to a real estate bubble burst which left large tracks of land which later became sugar refineries. Henry Havemeyer later remarried Louisine Havemeyer who brought great awareness to impressionist art, which some she later donated to metropolitan museum. [10:53-12:03] Did the art come from the mansion facing central park? Yes. The mansion was decorated by Louis comfort Tiffany. [12:03-14:35] Could you tell us more about the sugar trust? In the 1880's the competition became cut throat and the only way to survive was to limit the amount of sugar produced and to increase the price. Henry Havemeyer then convinced other sugar producers to set up a sugar trust that would control the price and supply. This, in turn, made them very wealthy, affecting the economy of the United States. In 1858 with the start of the civil war in Louisiana where most of the sugar come from, the supply was cut off and sugar had to be imported from different places such as Cuba, Egypt, Puerto Rico, and Brazil but mainly from Cuba. This sparked the Spanish-American war. [14:35-14:55] What made Henry Havemeryer push the American government to fight with Spain? He wanted to buy up the sugar plantation where the raw sugar way raised. [14:55-15:24] It was all about the money, right? Right. And as soon as Cuba was freed from Spain and Puerto Rico became an American territory, they reconfigured the economy to best suit them. [15:24-16:13] Stay in touch with the podcast by subscribing to the mailing list. Text Brooklyn to 66866. [16:13-18:09] Does Met Museum have a responsibility to talk about the money and the history of the art hanging on their walls? Unfortunately, there is no stipulation for this even though there is a lot of criminality surrounding the Havermeyer's wealth acquisition. [18:09-19:39] What did the president of the United States say about this? He asked that justice be served for the fraudulent behavior that cost the country a lot. [20:06-21:34] What kind of emotion does seeing sugar evoke from you knowing what you know now? I am now aware of how many lives were lost and ruined for the production of that sugar. I cut my story off at 1909 but this went on till 2005. I have a visual attachment to sugar. [21:34-22:33] Why did the union solider need so much sugar a month? It’s not clear but a logical argument would be that they were cooking up boozes. [22:33-27:41] What was the influence of the Sherman act? After the sugar trust was formed, the New York State sued them for being illegal which they won. They then incorporated in New Jersey and they were able to run the sugar trust fund through Henry Havermeyer. Through bribing top government officials, Henry Havermeyer was able to maintain and run his business empire without problems despite breaking the law. Henry was also known to destroy anyone that attempted to come into competition with him as in the cause of Claus Spreckels, a sugar king from California, and The Arbuckle which cost a lot of money. [27:41-30:09] Let’s talk about his family that’s living today. After his death, there was an investigation and they found out that Henry had illegally received a huge amount of stock in the American Sugar refining company which violates the security exchange commission laws. The family divested and the sugar monopoly was broken up by the government, but they still held huge amount of stock worth millions. His daughter, Electro, set up foremost museum of Americana, and the son became a family historian. They’re still wealthy people to date. [30:09-31:10] What’s happening to the modern Domino sugar building? The building is landmark and it rapidly transformed into something different. It was set up as an industrial building but now it's going to be luxury offices and condos. I would love people to remember that there's a unique and tragic history attached to this building which is one of the reasons I wrote the book. Special thank you to Michael Kawochka from Warren Lewis Sotheby's International Realty for making this introduction and helping with the interview! We discuss everything from how Persian handmade carpets are made to cleaning them and restoring them from bad stains and conditions. He’ll also share with us how to choose the best type of carpet fabric for residential as well as commercial use. [0:22-0:44] Intro: Today we are joined by carpet expert Haim Shemesh. [0:44-1:23] Tell us about yourself? I’m 42 years old. I came to U.S 18 years ago when I came to study acting, but ended up getting involved in the rug business and got fascinated by the oriental Persian handmade rugs. [1:23-1:35] How long have you been in the rug business? Since 2003. I took a few years off then got back in 2006 which makes it 12 years. [1:35-2:06] Tell us more about your fascination with the art and symbols in different regions and countries in the rug industry? It’s interesting to see the difference in the way they weave the symbols with different elements and technics as well as how they take care of them. [2:06-4:42] How delicate are the rugs to clean? Persian handmade rugs are very delicate and need special soaps to wash them otherwise using regular ones may cause bleeding of the colors thus destroying the rug. [4:42-6:10] what are the price ranges for carpet cleaning and caring? The prices are dependent on the condition of the rug. Some need more time and attention than others, but for a regular standard wash prices start from 150 dollar onwards. [6:10-6:56] Do you do offers cleaning services to people outside Brooklyn since your based here? Yes we do. We have a pick-up and delivery service to clients around areas such as Queens, Hamptons, and long island, and for those far away we accept shipping. [6:56-8:09] Do you also clean regular carpets? Yes. As a company, we don't only clean fancy Persian carpets, we also clean different types of carpets and do upholstery as well. [8:33-10:39] What kind of chemicals do you use to clean the carpets? We use soaps and not chemicals that are green seal approved and that have a low pH value. This ensures that the carpet or rug maintains its color and texture after been cleaned. [10:39-11:59] What’s the difference between residential and commercial clients? Residential clients are more sensitive to their carpets and rugs because they are more valuable compared to commercial ones. [11:59-14:00] Who are some of your most famous client and places you’ve gone? One of the places I enjoyed the most was a church in Brooklyn where the Father had tapestry and rugs that I saw he really loved and had become quite dirty; that was an honor for me to do for him. Another one was Alec Baldwin who had a banana silk rug that was stained and after cleaning it, he wrote a review back to us and allowed me to post it on our website. [14:00-16:15] What are some of the things to look for when buying a normal residential carpet? For a wall to wall, synthetic or plashet are the best but also keep in mind the color because some stain easily such as white and off-white. As for aerial rugs, choosing one that has been made from one fabric such as wool is the best when I comes to cleaning. For example, sisal rugs do not absorb the drying process very well and tend to leave water marks when they dry. Others to avoid are the overdyed rugs because once they are washed the colors fade off. [16:15-16:45] What specials do you have for our listens here in the North east? At the moment we have a 50 dollar coupon and 10% off for new customers. We run promotions now and again too. [17:38-18-24] How important are the customer’s reviews? It’s important for us because we want to know that we made our clients happy with the work we’ve done.